We are the leading supplier and exporter of metal scraps such as stainless copper scraps.These scraps are procured from the trustworthy vendors of the respective domain. These scraps meet the needs of various industries like electrical, integrated steel mills, furnace mills, so on. We are also engaged in the supply of high grade copper scrap which is used mainly in electrical, electronics and construction industry on a large scale. These products are available in different variety as per the requirement and quality. 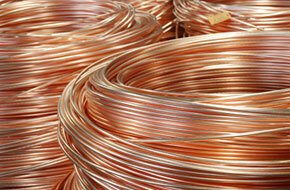 Copper scrap is nothing but pure form of copper sourced from the well known vendor. Our copper scrap is highly durable, anti-corrosive, light-weight, malleable and free from impurities. It is good conductor of heat and electricity and longer service life.